Life Expectancy | "Professionally Responding To Your Home Inspection Needs"
We’re often asked how long items in the home will last. The inspection process includes a visual examination of the house components and determining the remaining life of a component is very difficult to do. In order to help the homeowner determine the remaining life of a home’s many components, the National Association of Home Builders and Bank of America published a study of the life expectancy of nearly every component in your home. The report covers everything from flooring to cabinets; foundations to roofs; HVAC components and much more. The report is intended to be used as a guideline only. The items in the report list averages, and factors such as use, maintenance, manufacturing process and environmental factors can affect the life expectancy of any component. The link below will take you to the study. PLEASE NOTE: This chart should be used as a general guideline only. None of the information in this report should be interpreted as a representation, warranty or guarantee regarding the life expectancy of any product or product line. Readers should not make buying decisions and/or product selections based solely on the information contained in this report. 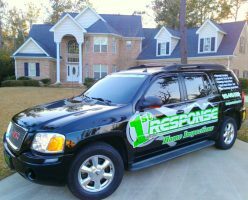 © 2011-2016 1st Response Home Inspections, LLC .